Proudly serving the O’Fallon and Scott Air Force Base communities since 2007, Chiropractic Plus is one of the premier chiropractic wellness centers in the Metro East area. 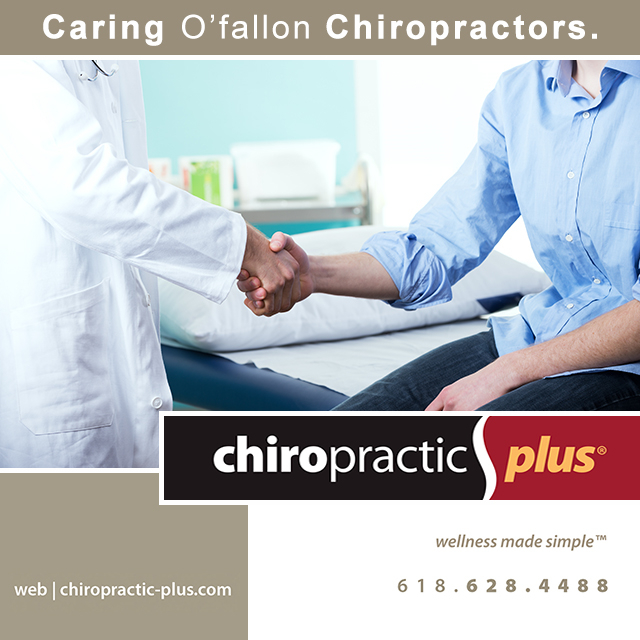 The Chiropractic Plus team is dedicated to the improvement of your overall health, reducing your risk of illness and injury by providing safe and effective Chiropractic services. Patients benefit from a variety of services including chiropractic care, nutritional counseling and massage therapy for overall health as wellness. We care for patients of all ages suffering from conditions such as headaches, neck pain, low back pain, sciatica, sports injuries and injuries relating to automobile accidents. Our Doctors are specially trained to diagnose the health of your spine with motion study x-rays, the only chiropractic physicians in the area specialized in this technique. Dr. James Perulfi and Dr. Josh Ferrell look forward to meeting patients and building lasting relationships, working together towards better health. Chiropractic Plus welcomes patients from O’Fallon IL, Scott Air Force Base, Shiloh, Belleville, Lebanon, Fairview Heights, Collinsville and all other Metro East St. Louis communities. Contact the office today at 618-628-4488 for more information and to set up an appointment, your first step to a healthier and more fulfilling life. We offer same day appointments, walk in chiropractic availability, over 25 years of combined experience and a diversified male and female Chiropractic staff. Patients seeking treatment at our chiropractic office are assured of receiving the highest quality care through the use of modern chiropractic equipment and technology. Our doctors and staff have a genuine concern for your health and well-being. For our chiropractic practice members who have little or no chiropractic insurance coverage, flexible payment plans can be arranged. To learn more about our payment options for chiropractic and wellness care, call: 618-628-4488. We also have many patients with insurance plans that we are out of network with. Once we obtain verification of insurance coverage, we would be more than happy to assist you in navigating your benefits before care begins to help you decide which options are best for you and your health needs. Back pain is the result of a variety of reasons and can cause pain enough to be debilitating. Our Doctors use chiropractic adjustments to provide effective pain relief to patients in O’Fallon IL and near Scott Air Force Base, Shiloh, Belleville, Lebanon, Fairview Heights, Collinsville and all other Metro East St. Louis communities. If you&apos;ve suffered from personal injury or an exercise injury, our Doctors can help! We provide advanced spinal correction and injury rehabilitation specifically designed to help you reduce your pain, improve your range of motion, and restore function utilizing "state of the art" chiropractic techniques. Headaches can be a regular and common condition, but consistent headaches don’t have to be endured. 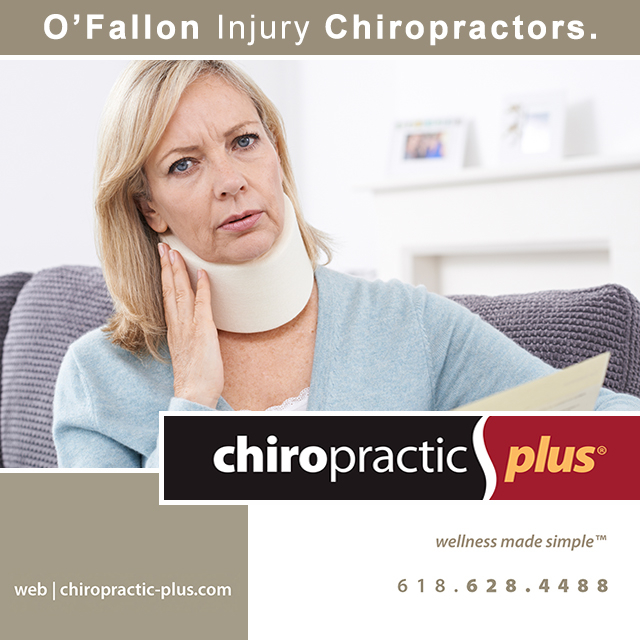 Our Doctors use chiropractic adjustments to provide effective headache relief to patients in O’Fallon IL. Sports injuries such as sprains, fractures, and dislocations can occur at any time, particularly if the individual is active in sports. Our Doctors have extensive experience in treating patients with sports injuries. Massage therapy is more than relaxing; it has proven physical, therapeutic and emotional benefits. Highly recommend! This was the first time I'd ever been to a chiropractor and I had no idea what I was missing. Feeling fantastic now! They were wonderful. Due to a cancellation they took me vs. having to waiting until my appointment the following day. Also as a Special deal they offered another discount for 2 more massages. Very Satisfied Couple. 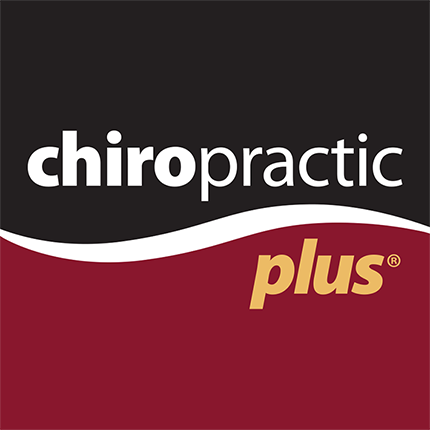 The entire staff, including Dr. Ferrell, at Chiropractic Plus is friendly, knowledgeable, and efficient. I have confidence in them being able to help me with any ailment. Great visit! Professional, quick, and ease of visits was the best. They had me in and out quick. 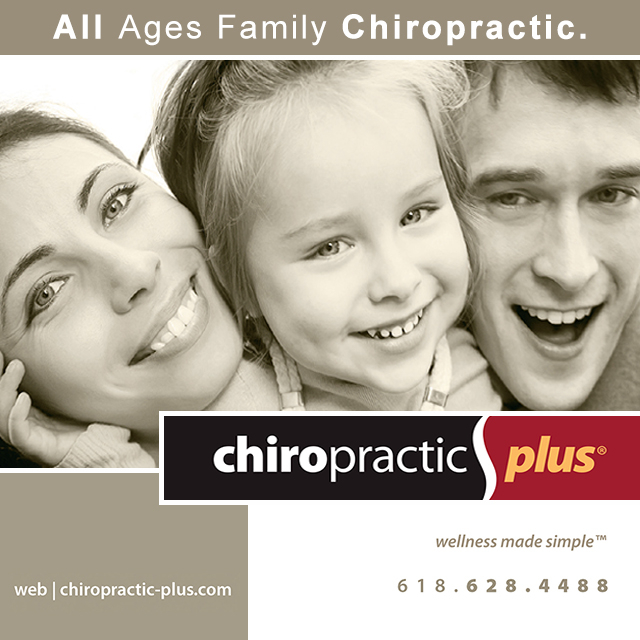 Superb care with minimal discomfort and many treatment options at Chiropractic Plus! Always make you feel comfortable. They are very customer service friendly. I also appreciate how you don't need an appointment to come in. Prices are fair and affordable.